Irish Eventing team manager Sally Corscadden has named her team for this week’s FEI Eventing Nations Cup presented by Connolly’s RED MILLS at Millstreet in Co Cork. 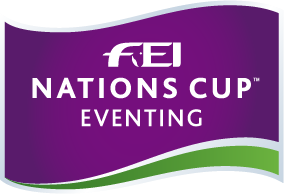 Millstreet hosts round six of the 2018 FEI Eventing Nations Cup series and will be followed by Waregem (BEL) in September and Boekelo (NED) in October. Now in it’s fourth year, the 2018 Millstreet International Horse Trials begin on Thursday with the first of two days of Dressage, followed by Cross Country on Saturday and the final Show Jumping phase on Sunday. The schedule will also include one and two star competitions along with pony and young horse classes.